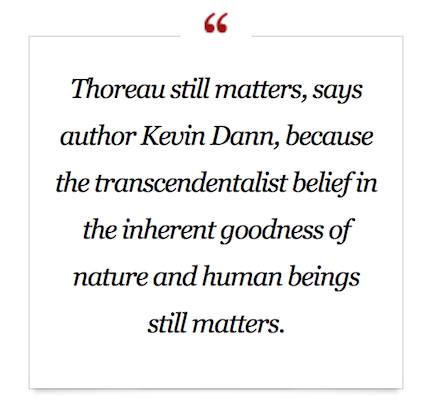 2017 marks the 200th year since Thoreau’s birth and the Boston Globe recently published an article emphasizing that his transcendental beliefs remain as relevant as ever. 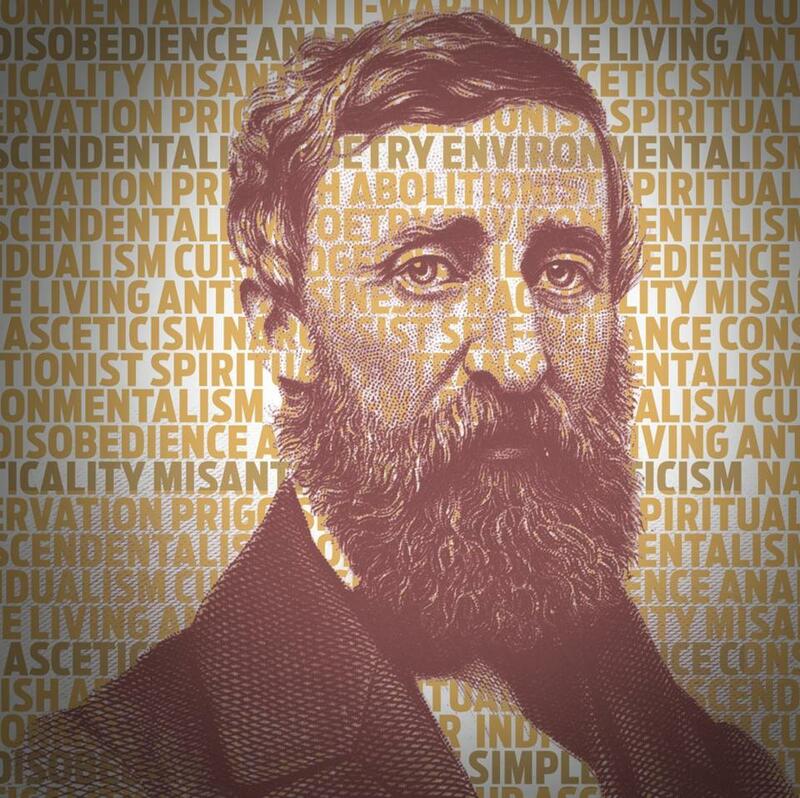 The piece, titled Why Thoreau Still Matters, describes the many events and happenings surrounding Thoreau that will dot his bicentennial year, including a new biography. 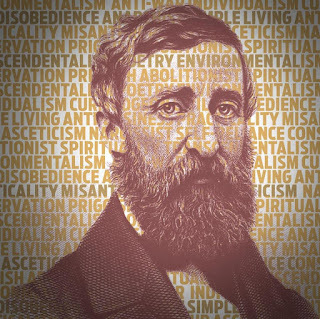 It goes on to assert that Thoreau’s core beliefs, namely his "rebelliousness, idealism, humanism, and concern for the environment," are particularly important to embrace in this time of great political and social change for the United States. 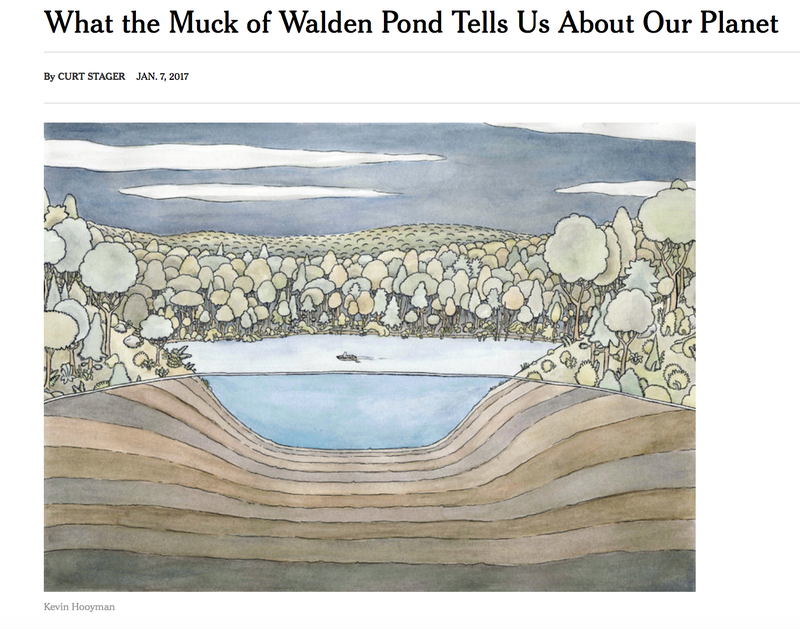 "Walden is a perfect forest mirror...in which all impurity presented to it sinks, swept and dusted by the sun’s hazy brush"
In a recent article in the New York Times entitled What the Muck of Walden Pond Tells Us About Our Planet, researcher Curt Stager describes in beautiful detail what sediment cores from Walden Pond can tell us about the site's past, present, and future. Following Thoreau's time, however, sediments reveal nutrient pollution in the 1920's, radiation and pesticides in the 1960's, and, in recent years, a ubiquitous alga common to warming waters. Stager warns that these sediment cores reflect an ecosystem that could be on the brink of "nutrient apocalypse" and we ignore the lessons of the lake at our own risk.